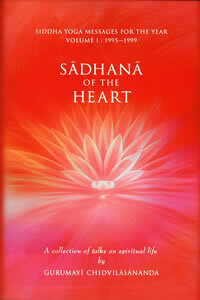 as well as the saints of the Siddha Yoga lineage. We also offer children’s books. CD's: Siddha Yoga chants, talks by Gurumayi Chidvilasananda. Photographs of the Guru and saints. Our bookstore is open before and after satsang, at the hours listed below. To support the sacred environment of Intensives and Retreats, bookstore hours during these events may be limited to the times that participants have breakfast, lunch, dinner, morning, and afternoon pauses. The Bookstore may also be open during evening hours on these days. Please call the office manager (305)422-2020 for additional information. Refresh Your Resolution. Smile at Your Destiny.